I will be exposed to proprietary and confidential information from the Party. I understand this information is valuable to the Party; therefore, I agree not to give this information to any persons by any means, for or not for compensation, without express written consent from the Libertarian Party of Florida. 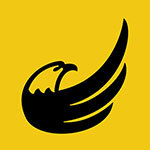 I understand that any names, phone numbers, emails, addresses or any other proprietary information that I am exposed to remain the property of the Libertarian Party of Florida. I shall not transmit this information by any means to any third party. My username and password are unique to my account and are designed to protect my account from unauthorized use. Accordingly, I agree that my username and password are to be guarded and not shared with, transmitted, or otherwise disseminated to any person, for any reason. Any other matters between the Libertarian Party of Florida and me shall not be discussed with third parties or disseminated by any means. I agree that violating the terms of this agreement will result in the termination of my database account and other Libertarian Party of Florida lists, and other actions as necessary. Which data would you like access to?